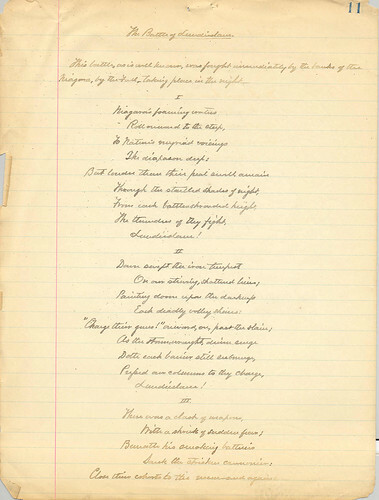 The Beinecke Library has acquired a scrapbook and papers of Albert Tracy documenting his activities as a poet and artist from 1843-1892. Albert Tracy (1818-1893) joined the United States Army as a lieutenant in the 9th Infantry during the Mexican War, and served as Adjutant General of Maine, 1852-1855. He returned to the Army to serve in the 10th Infantry, in which he participated in an expedition against the Sioux from Fort Snelling, Minnesota, in the Utah Expedition, and in the American Civil War, when he attained the rank of colonel and served as aide-de-camp to John C. Frémont. 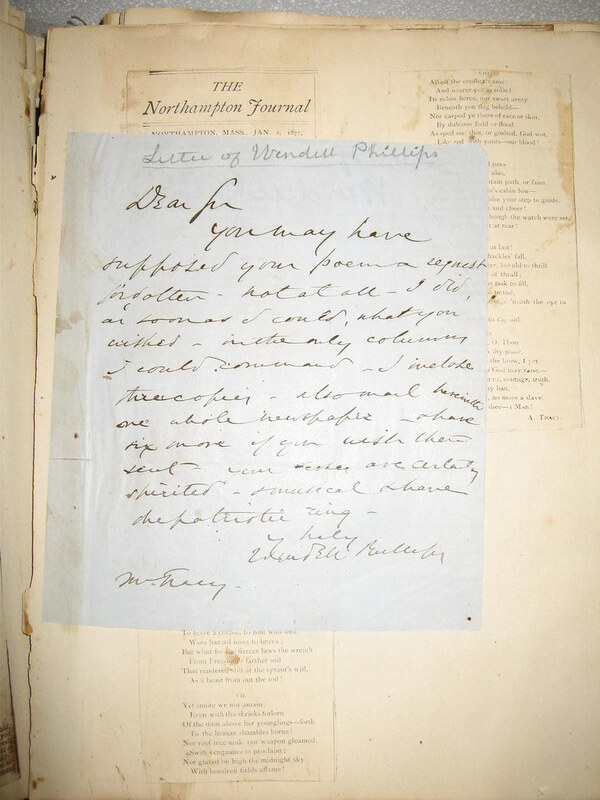 The scrapbook includes clippings of his poems published in newspapers, a letter from Wendell Phillips related to the publication of a poem, and Tracy’s published accounts of the Mexican War and his critiques of the post-Civil War United States Army. 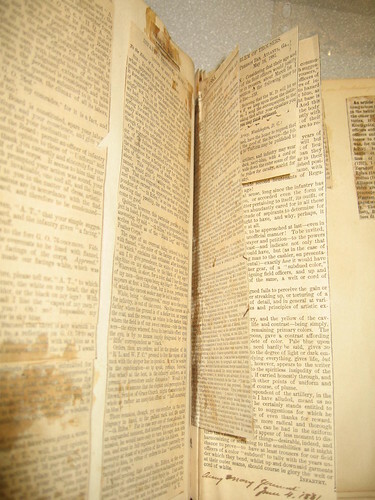 The papers include several manuscript poems and additional newspaper clippings, as well as pencil drawings that depict a panorama of Fort Bridger in the Utah Territory and a view of the fort interior, June 3-4, 1858. 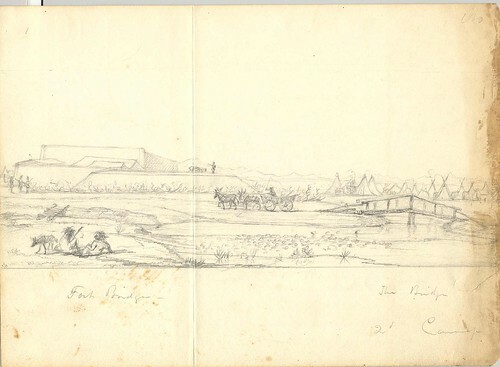 Images: Tracy scrapbook pages; manuscript of “The Battle of Lundy Lane” (1892); Tracy scrapbook pages including Wendell Phillips correspondence; drawing of Fort Bridger, Utah Territory, June 3-4, 1858 (click on any image for a larger view). 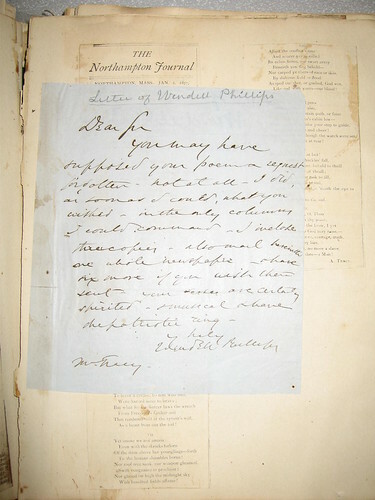 Collection description prepared by Matthew Mason, Archivist, Beinecke Library. Some of the creators and administrators of Beinecke Library blogs will be joining with other blogging special collections librarians and curators to present a Blog Boot Camp at the 49th Annual Rare Books and Manuscripts / American Library Association Conference at the Getty Research Center on June 26, 2008. All conference attendees are welcome and encouraged to join the conversation; for our colleagues and interested readers unable to attend the conference session, the conversation will be documented and augmented on the RBMS Blog Boot Camp Blog, which was set up in early June 2008 to support the seminar and provide a forum for continuing the conversation. The Blog Boot Camp Blog highlights many of the various questions that panelists in the seminar will discuss and we invite readers to contribute thoughts, ideas, and additional questions. We’re especially interested in hearing from special collections staff currently utilizing blogs and other participatory web technologies. Thanks in advance for your interest and participation. Additional Resources: Blogging at the Beinecke: Promoting Special Collections in the 21st Century; RBMS Conference details; ALA Conference details. Image: Dorothy Porter Wesley, Howard University Librarian, photographed by Carl Van Vechten on May 23, 1951. 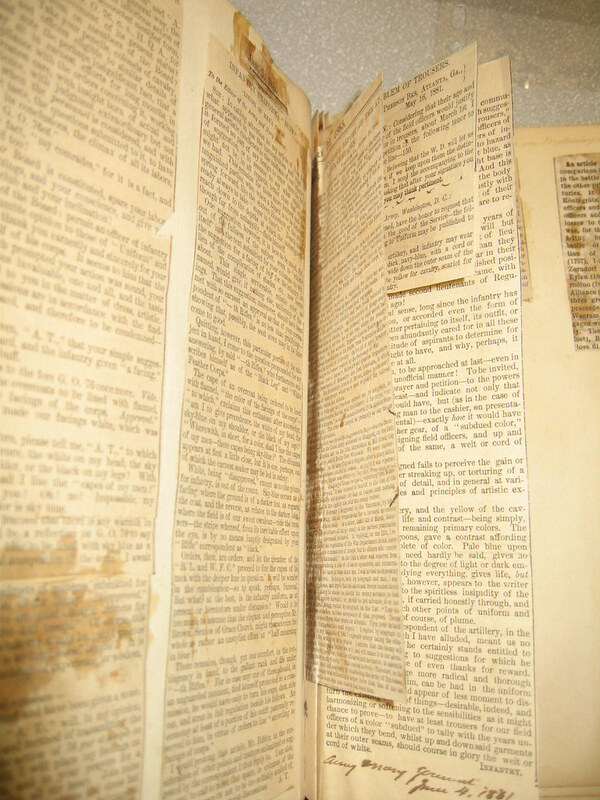 Dorothy Porter Wesley was influential in developing archives and bibliographies concerning African American culture. Photographs by Carl Van Vechten are used with permission of the Van Vechten Trust; the permission of the Trust is required to reprint or use Van Vechten photographs in any way. To contact the Trust email: Van Vechten Trust.